AT&T's Dell Streak On Sale Tomorrow? AT&T’s Dell Streak On Sale Tomorrow? Ready for a 5 inch touch screen mobile phone! The widely discussed Dell Streak is going to be available for purchase tomorrow on the Dell website. Signups for pre-orders have stopped, but you can move right on up to purchasing the Dell Streak tomorrow. 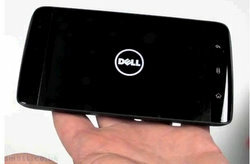 The Dell Streak is a combination between a tablet (think the iPad), and an Android OS powered phone (think HTC EVO 4G). This phone is massive with a 5 inch touch display screen and like I mentioned, powered by the Android mobile OS. Our Dell Streak pre-sale sign-up opportunity is no longer available. Please visit www.dell.com/streak tomorrow to purchase your Dell Streak. However, if you visit the Dell site now that message is no longer there. Is it possible they were just testing their message? Or can we really expect to see the Dell Streak available tomorrow?